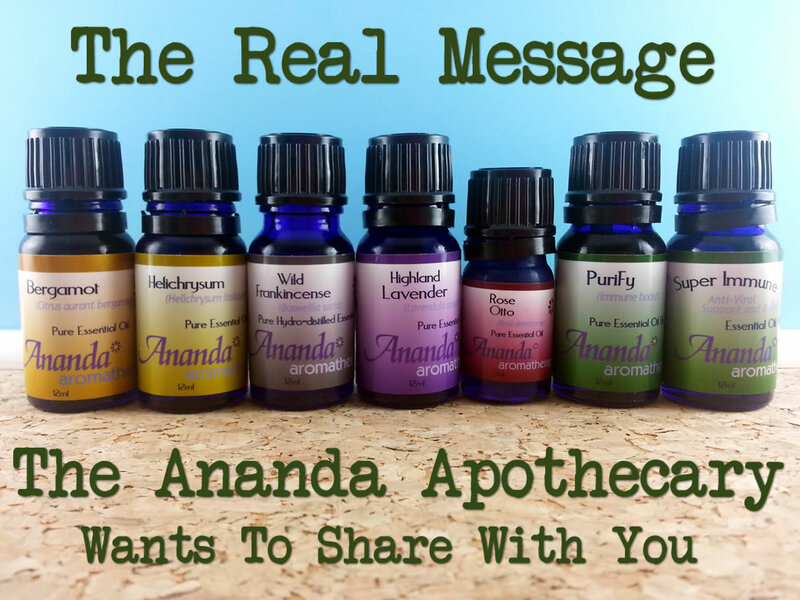 I received products free of charge from The Ananda Apothecary in order to write a comprehensive company profile that includes my personal experience with the oils/products. This post contains affiliate links, which means that if you click on one of the affiliate links, Marvy Moms will receive a percentage of any sale. This does not affect the amount you will pay for an item or service and in no way changes opinions expressed by Marvy Moms or Marvy Moms writers. For more info, see Marvy Moms Disclosure Policy. These are some truly beautiful oils. PuriFy is essentially a Thieves blend and should not be used on young children since it contains Eucalyptus and Rosemary (high in 1,8 cineole known to slow breathing in young children) as well as clove and cinnamon which are two of the hottest oils. Super Immune is another one that has Rosemary, so should be avoided in small children for the same reason. Still, great blends for older kids and adults. The Rose Otto is gorgeous and such a wonderful addition to my collection. Priced at $97.46 (at the time it was sent to me) for a 5 ml bottle, this is definitely one of the most expensive oils (from any company), and one that I would have not bought for awhile due to its cost. Helichrysum italicum is another one that is quite pricey, and worth EVERY penny. I’m planning to use this in some rosehip oil to treat scars. I’ve used helichrysum hydrosol in a blend to help with bruising, so I’m guessing the oil would be good for this too. Is Ananda dedicated to supplying essential oils to the aromatherapy practitioner market and educated public? Is Ananda on the small size and not a large corporation? Is Ananda owned by an aromatherapy practitioner or essential oil specialist? Do you have relations with your distillers? Can Ananda readily supply a batch-specific GC/MS spec report on each essential oil it sells? Is Ananda readily able to provide material safety data sheets (MSDS) as needed? Does Ananda and do you (Eric Čech) have a strong unquestioned noncontroversial reputation in the field? Have you been in the field for a number of years and are you well known to other aromatherapy practitioners and/or educators? What is different about Ananda? We’re NOT an MLM, so we don’t charge mlm prices. The oils come from the distillers, are bottled by us, then sent to our customers (both doTerra and YL customers have noted our oils at least as good, if not better than what they’ve received from these companies). So essentially one is getting wholesale from us. The fact that he willingly retracted his article and “plan(s) on a follow up article for clarification at some point” speaks volumes to me of Ananda’s commitment to education and safe use of essential oils. I think his point was that there are times when ingestion is warranted, however, don’t try to do it without guidance from someone who is qualified and has experience in ingestion. To this point I agree. There are people that say “Never ingest!” and others that say “Ingest everything!” Neither are right. The problem is that there are not a lot of people qualified in safely ingesting essential oils. 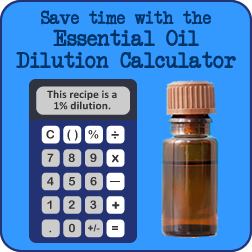 Thankfully, there are enough benefits to inhaling or applying diluted essential oils topically, that ingestion is rarely necessary. In the aromatherapy world, there is a general dislike of the term “therapeutic grade” essential oils. It implies that there is a grading system with an oversight organization designating guidelines. The fact is: there is no such organization, and no such guidelines. “Therapeutic grade” is a made-up term to indicate that oils are intended for aromatherapy purposes. Ananda uses this term, as do many, many other essential oil companies. I would not dismiss any company based on the use of this term. Its use was made popular by a few of the larger companies, and other companies followed suit to show that their oils are just as good. So, they are aware that there is no governing agency, and make no claim that there is. They are simply showing that they take great care in selecting their oils. Ananda has a fun Specials and New Products page with some attractive deals like the current ones of a free bottle of organic Rose Hydrosol with orders over $49, your choice of rose or jasmine attar with orders over $89, and Free Shipping on orders over $99. They also offer free shipping for all first-time customers. There are more specials, but you get the idea. I love a good deal, and the add-ons make ordering fun. I also like that Eric posts lots of informative articles on the Ananda blog like “Ylang Ylang and Blood Pressure: A Customer Experience and the Science” and “Best Practices for Storing Your Essential Oils.” He also keeps customers up to date with information about new products and sales. Overall, I get a good feeling from Ananda Apothecary. They have a nice selection of single oils, blends, and other aromatherapy products. Owner, Eric Čech, is open to feedback and committed to educating customers. Not to metion, he sent me such an amazing selection of oils! As with many of the companies I’ve interviewed, Ananda was glad to send me oils to be a part of my mission of helping people to discover choices when selecting where to buy their essential oils. Sign up to have Marvy Moms updates sent to your inbox to be sure you see all the essential oil company profiles as I post them! HELP! I want to hear from you. Please tell me in the comments what company profile you’d like me to publish next! See more Essential Oils Company Profiles! I am a certified aromatherapist and have ordered a few essetial oils from Ananda. However, it is misleading for the owner to say that they supply GC/MS reports upon request. They DON’T. GC/MS is different report from MSDA/CofA. Their customer service does NOT understand the difference between these two reports. I asked for GC/MS reports for the oils I purchased. And they could only supply MSDA, NOT GC/MS. MSDA is useless. GC/MS informs a practitioner the chemical constituents in a typical essential oil. That means each batch needs to be tested! I don’t think Ananda tests each batch. Remember, even the same oil has dramatically different chemical components if grown in different growing environment. I no longer order from them because as a aromatherapy practitioner, I need to know the exact chemical parts in the oils in order to create an effective,synergistic blend. With that said, their oils are decent and if you intend to use for yourself, it is not a bad place to start experiments. Interesting! Good to know testing isn’t available. That does make me think twice before ordering through them again. Can I ask what companies you do order through? I’m new to essential oils and getting a recommendation for reputable companies from a certified aromatherapist would be much appreciated to point me in the right direction! I’ve ordered from Ananda for probably 7-8 years. I found them while looking for a company that absolutely was NOT an MLM, and have kept ordering because their oils are good and their customer service is outstanding. Any time I’ve had a question about a product, they’ve gotten back to me within 24 hours with an answer. One nifty thing they offer that you didn’t mention: they offer sample sizes for a very reasonable cost, allowing the customer to compare, say, one lavender or frankincense against another without committing to larger bottles of both. It’s nice to be able to make a “micro” tester of a massage oil blend and then purchase the larger sizes once I’m sure of my concept for the blend. My only two qualms about the company are that getting GC/MS is hit or miss — I think they confuse it with the CofA sometimes — and that their website has grown so much, so fast that it’s become a bit of a mess. They really need someone to go through the site and clean up the pages so the main tabs are consistent throughout. For example: they make some nice liquid soaps, but good luck finding them on the website. For the non-professional who wants smaller quantities of EOs, Mountain Rose Herb also has some good oils and superior customer service. I don’t know if they fit your criteria since EOs are only one of many things they sell, but it’s a great company. Love, Love, Love Ananda! I have been ordering from them for a few years now and have always found their oils and customer service to be excellent. I too found them after looking for a trusted source of oils that was not MLM. They have been a Godsend especially this summer after my father had cancer tumor regrow in his lung. We would never have been able to afford to apply the amount of Frankincense that we did buying from YL or Doterra and I was confident what I was giving my father was good quality. Happy to say that after 3 months (and after the Dr. told him their treatments wouldn’t work for him), diet changes, oils, and other alt. treatment, (and to his Dr’s amazement) the tumor is gone and biopsies haven’t found any more cancer cells. God is good and He put these things on this earth for us to use, if we trust in Him, He will lead us to what we need. Thank you, thank you, thank you, Alison! I’ve been waiting to read where customers have used the oils, particularly, frankincense, to heal cancer tumors. I, too, am using the frank (sacra) and believe its truly working. Best price for tis that I’ve seen on the Internet. Sue, I have never heard anyone complain about the quality of essential oils from the top MLM companies. They do claim to test their oils, however, they do not make those reports available to the consumer. While the top MLM companies do provide tons of information, much of it is incorrect, dangerous, or misleading. I am concerned not just with price, but with a company that has my health and safety at heart. Many MLM reps pass along dangerous recommendations to their customers because it’s what they were taught by the person before them. Jealousy really never comes into the picture at all. It’s more a question of truth and integrity. I invite you to read my article “Safety First with Essential Oils” for the whole story of how I went from buying from an MLM company to interviewing over 20 essential oil companies to find viable alternatives (of which there are lots).